Gingko is nearly 300 million years old, one of the oldest surviving species on earth. There are numerous benefits of Ginkgo. 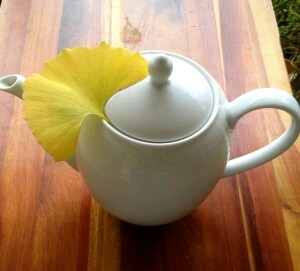 I specially harvest Gingko leaves for their harmony with the magic of autumn. It is the best time to pick up leaves before they drop and get mouldy without damaging precious Ginkgo tree. You can make alcohol herbal extract, which is not very easy, I perfer simple tasting tea or pesto. Store the leaves in freezer or dry them properly and store in airtight jug. Ginkgo has a great potential in stimulating circulation, great for winter blues, vertigo and age related mental health issue such as Alzheimer disease. 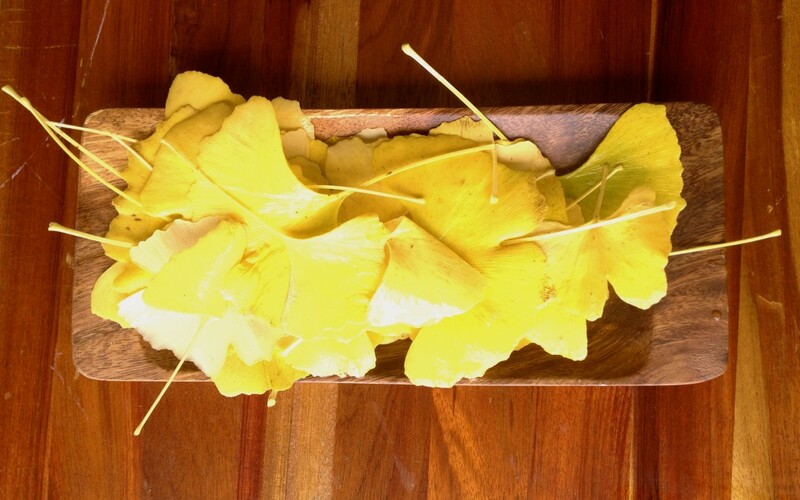 Ginkgo has a very high antioxidant status promoting nerve and blood vessels recovery. Also if you are suffering with cold hands and feet or especially suffering with Raynauds syndrome. 4-5 leaves in a pot add 300ml of water, let it sit for 5min. Enjoy refreshing ancient flavour with lemon zest. Layer the ginkgo leaves, miso, tamari, salt and cashews in a food processor, with the leaves at the bottom. Add olive oil and process in make sure it is still a little bit chunky. Store it in the fridge.